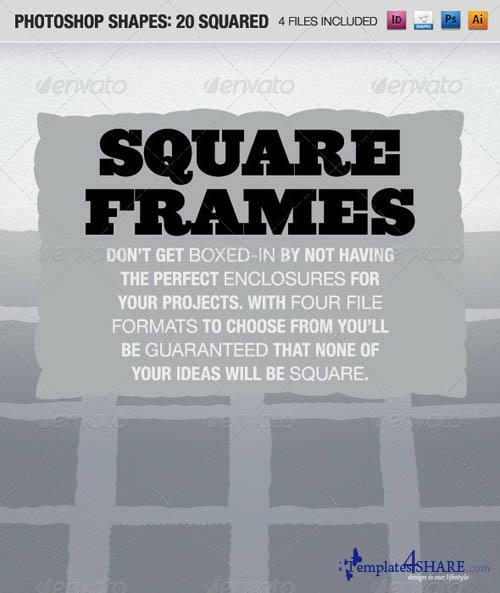 Twenty squared frames that should prove to be the perfect solution for adding detail to any design whether it be for print or web. All of these frames have an oblong or rectangular appearance to them. Some of these enclosures have rough edges and some smooth, but there is a wide variety with variations for each style. You might use these for backgrounds for text or call-outs in your design. There are four file formats in this download - Illustrator, InDesign, Photoshop and Photoshop Shapes.